While the Android 9 Pie is already running on the latest OnePlus 6T, the OEM had announced that pushing the Android 9 Pie skin on to the older OnePlus devices would take a little bit more time because of development issues. Now it seems that the wait for Android 9 Pie for Chinese users is finally over. It’s worth mentioning that while the global ROM for OnePlus phones is the OxygenOS, in China, OnePlus releases a different ROM called the HydrogenOS. As such, this current release of the Android 9 Pie based on HydrogenOS 9.0 for OnePlus 5 and OnePlus 5T remains limited to China only. Still, with this release, we are sure that the global version of OxygenOS 9.0 shouldn’t be far away for other OnePlus 5 and OnePlus 5T users. Chinese users posted many screenshots of the beta update of the HydrogenOS 9.0 on the internet thus signalling that the update has finally been pushed by OnePlus. However, since this rollout of the HydrogenOS 9.0 is a Beta stage one, it is not publicly available. Still, it shouldn’t be long before OnePlus conducts a mass rollout of its new Android version for the older OnePlus models. Also, going by the timelines of previous years, OnePlus is soon expected to follow up with the global rollout of the OxygenOS 9.0 based on Android 9 Pie for the older devices like OnePlus 5 and OnePlus 5T. To dive deeper into what the update actually brings onboard the OnePlus 5 and OnePlus 5T, an XDA member translated the changelog of the HydrogenOS 9.0 which revealed that this new ROM brings forth a new UI, revamped background control solution, full-screen gestures for OnePlus 5T, new Android P shutdown-interface icon, SMS verification code for opening up display, redesigned Call UI, new weather app and dual card mode to control SIM cards for particular contacts or group. OnePlus had previously hinted towards a stable build rollout of the Android 9 Pie based OxgenOS 9.0 ROM by the end of this year for OnePlus 5 and OnePlus 5T. 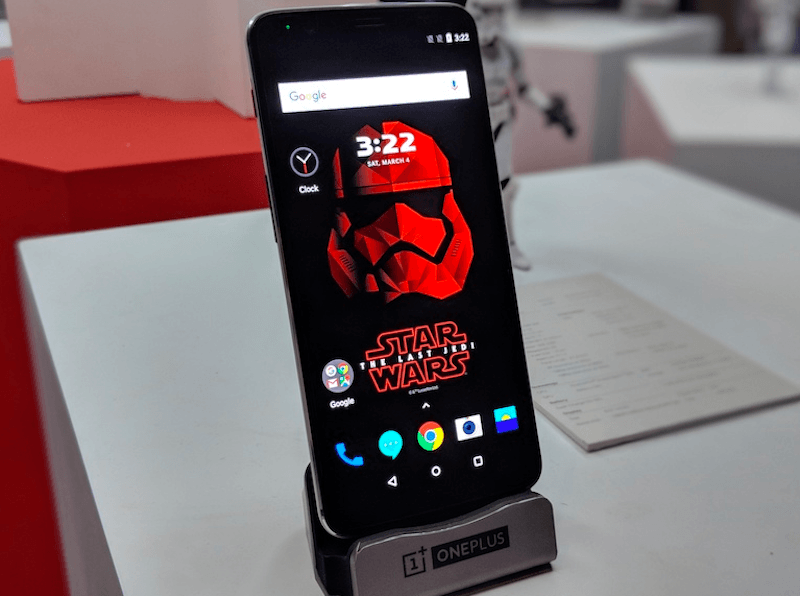 Since the OEM has already started pushing out the Beta build, it’s entirely possible that OnePlus will live up to its promise of shipping Android 9 Pie to its older phones. Further, the Chinese manufacturer had also said that it would be directly updating the OnePlus 3 and OnePlus 3T to Android 9 Pie by skipping Android 8.1 Oreo. However, the beta rollout for these devices hasn’t been spotted yet.